Product #20978 | SKU 8427188 | 0.0 (no ratings yet) Thanks for your rating! The Samson R10S Dynamic Microphone With Switch is a handheld microphone with quality and features that undermine any other microphone of the same price. 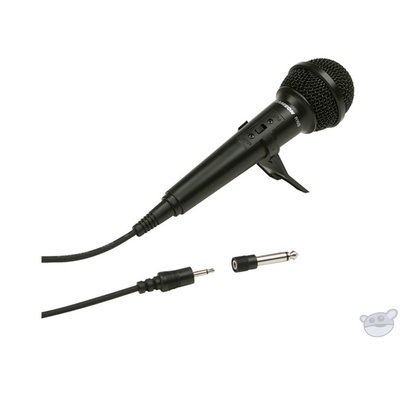 The easy to connect mic is ideal for computer recording, karaoke, or amped applications. The mic comes with the addition of a 5 metre cable making it an able option in performance, presentation, or studio setups. With a dynamic feedback-reduction allowing the mic to deliver crisp and clear sound performance, the combination of effective performance, versatility, and cost of the R10S makes the microphone unparalleled.